I have been trying to find the title of this kid's movie involving these 2 scenes and the best description from what I can remember. 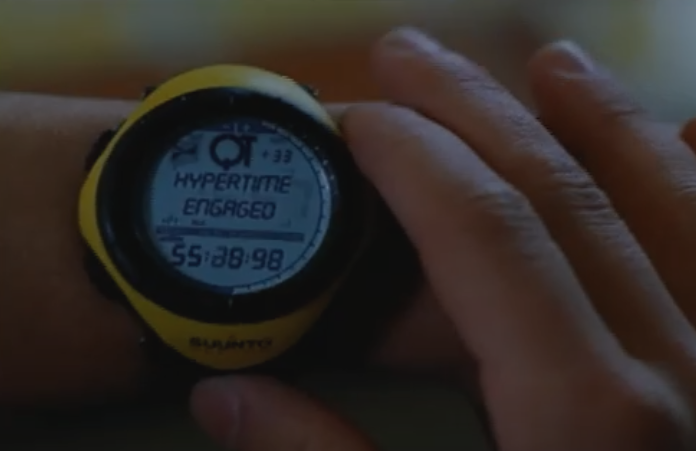 Each of the scenes are connected by the use of the watch but in two different time periods in 1980s/1990s and then in the past. First it’s about two best friends (I think both are male) who both set their wrist watches at a certain time to remember to watch a TV show (I think wrestling?) each week and after confirming the exact times on their wrist watches they say yeah air alright and possibly high five. The show somehow had to do with time travel to the past. Only one of the friends goes back but I'm not sure how. While being stuck in the past and trying to solve a problem to help the people in the past, his alarm for the TV show goes off and he remembers the title of the TV show by hearing the alarm uses the battery to solve the problem. 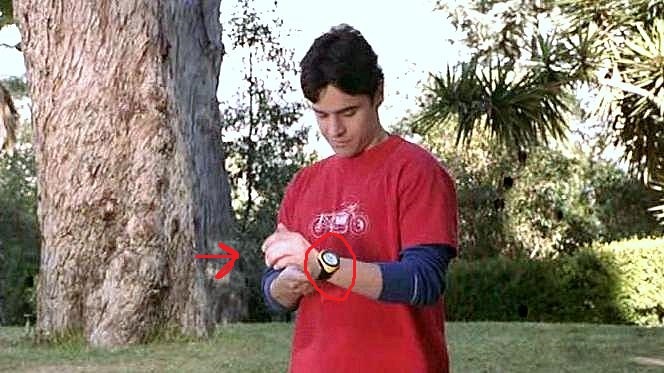 The watch didn’t cause the time traveling only that the battery of the watch was used in the past after traveling there. But other then those scenes I don’t know the whole main plot and around the time it came out in the early 90s or late 80s. It's not A Kid In King Arthur’s Court. 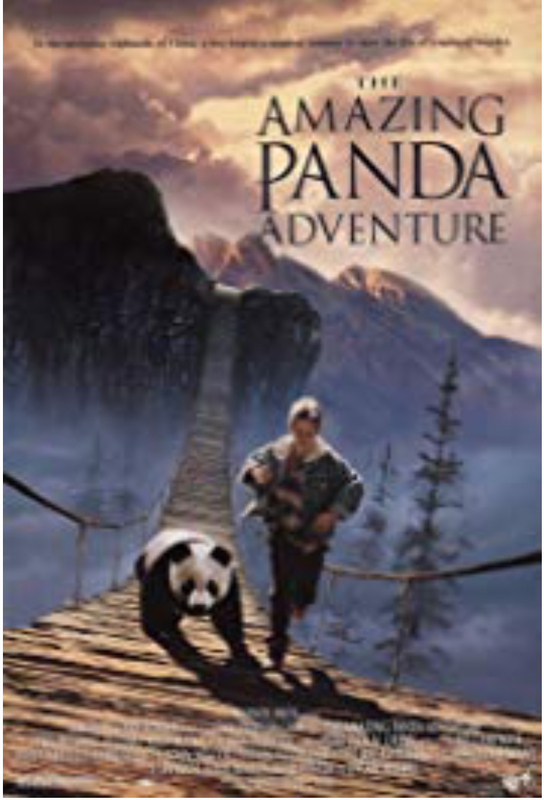 I think this is The Amazing Panda Adventure. Ryan realizes that he can use the batteries in his watch to power the radio collar and enable his father to locate them. The movie was released in 1995. The only thing that doesn't fit your description is that there's no time travel, but most of the movie takes place in rural China, so there is at least an element of travel to a place with limited technology. It came out in 2002, so pretty close to your guesstimate. It also has two main characters, who are both young adults, and only one has the watch. I don't believe they can time travel in the movie, but they can stop it.